TOKYO, October 24. /TASS/. Japan’s government plans to sign a peace treaty with Russia based on the solution of the territorial issue, said Japanese Prime Minister Shinzo Abe, speaking at the opening of Japan’s parliamentary session on Wednesday. "Relations with Russia are in abnormal state. The two countries have been without a peace treaty for more than 70 years," he said. The prime minister noted that the agreements reached during Russian President Vladimir Putin’s visit to Japan in December 2016 are being gradually implemented. "Former residents of the islands have visited the graves of their ancestors, travelling by plane, for two years already. 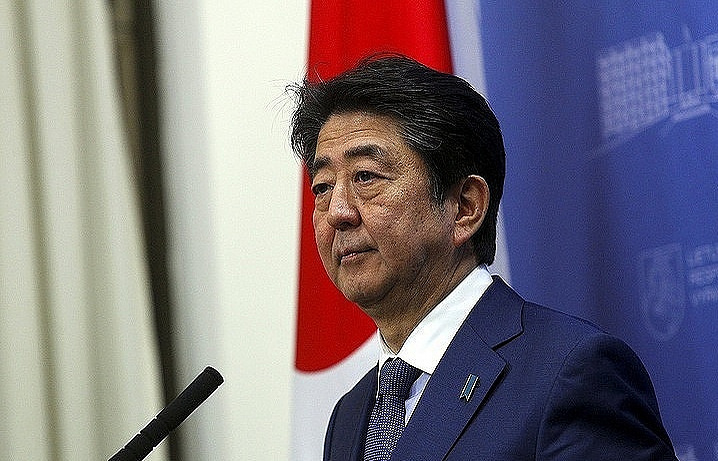 The issue of carrying out joint economic activity there approached the implementation stage as well," Abe went on. "Based on relations of confidence with President Vladimir Putin, we will solve the territorial issue and sign the peace treaty with Russia. We will open a new era in bilateral relations." In September, during a discussion in the Eastern Economic Forum, Putin suggested Japan should sign the peace treaty before the end of the year without preliminary conditions. On October 18 he reported that after that Abe said in a conversation with him in Vladivostok that the peace treaty between Tokyo and Moscow cannot be signed ahead of solving the territorial issue. Russia did not plan to abandon the solution of the territorial issue, Putin explained. The signing of the peace treaty would raise the level of confidence between the two states, which would galvanize the solution of territorial problems, the Russian president said. Since the middle of the 20th century Moscow and Tokyo have negotiated at intervals to develop a peace treaty based on the results of World War II. The main obstacle for its signing was the issue of the sovereignty of the southern Kuril Islands. In 1945, the entire archipelago acceded to the Soviet Union, but the Japanese side disputes the sovereignty of Iturup, Kunashir, Shikotan and a group of islands which it calls Habomai. The Russian Foreign Ministry repeatedly stated that the Russian sovereignty over them, which has corresponding international documents, is undisputable.